Mother’s Day is less than a week away, so I thought I’d give you a breakfast recipe to help you treat that special lady right this Sunday. 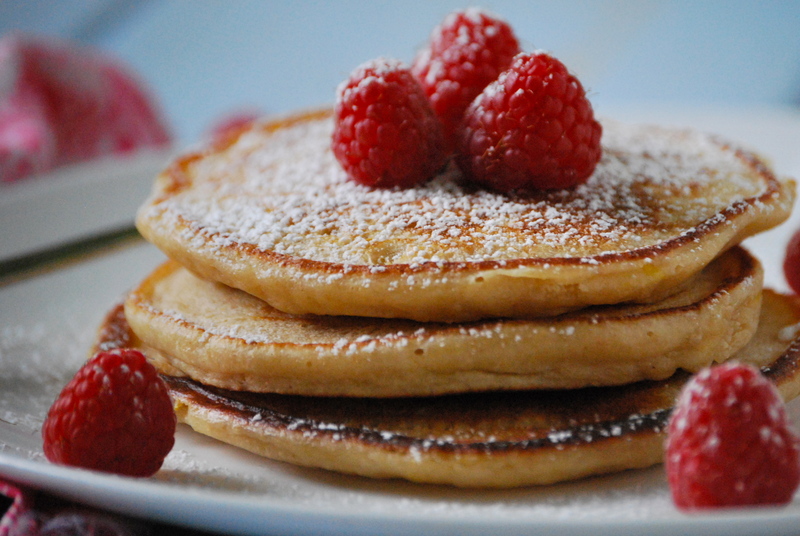 These pancakes are the perfect “something special” to show your mom, grandma, or wife just how much they mean to you. And if you make sure to clean up once everything is made, she’ll appreciate it all the more. 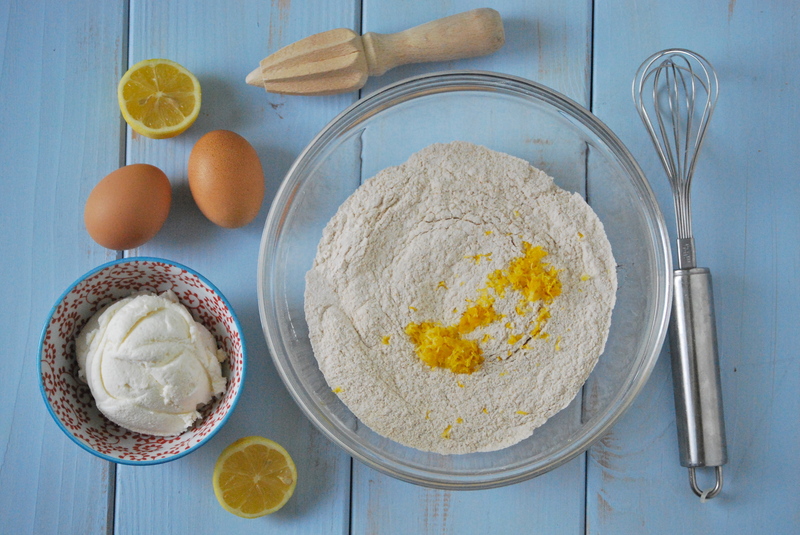 Lemon ricotta pancakes are one of our favorite Spring breakfast dishes. 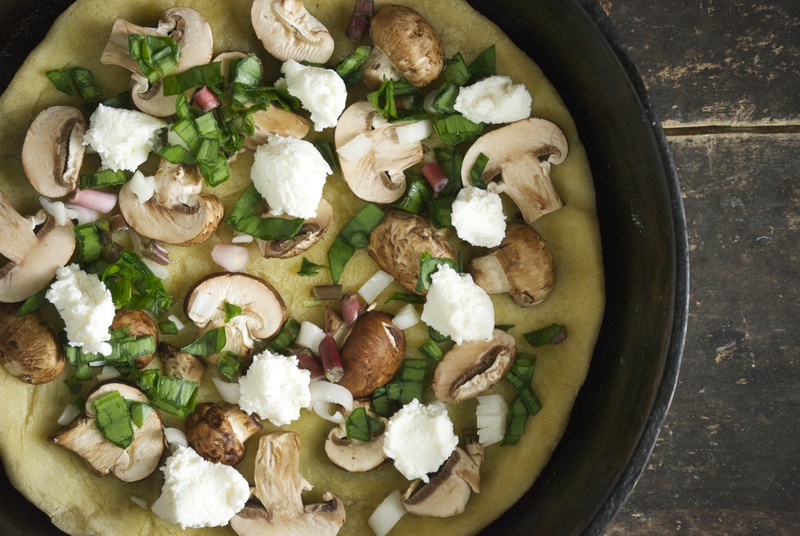 The flavors here combine to give a fresh twist on the old pancake routine. As usual, I’ve tossed in a few tricks from my “make things more healthy” repetoire. 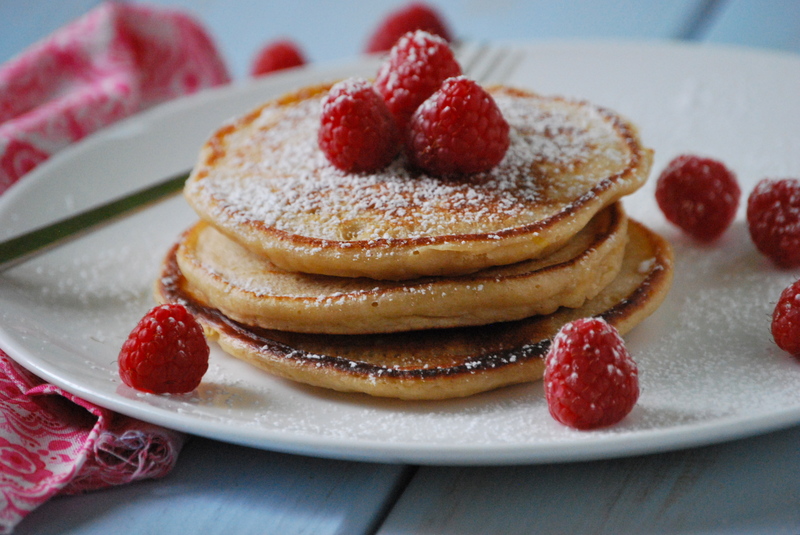 Using white whole wheat flour not only makes these more healthy, but it adds a bit more substance than you’ll find in a typical lemon ricotta pancake, which tends to be feather-light. 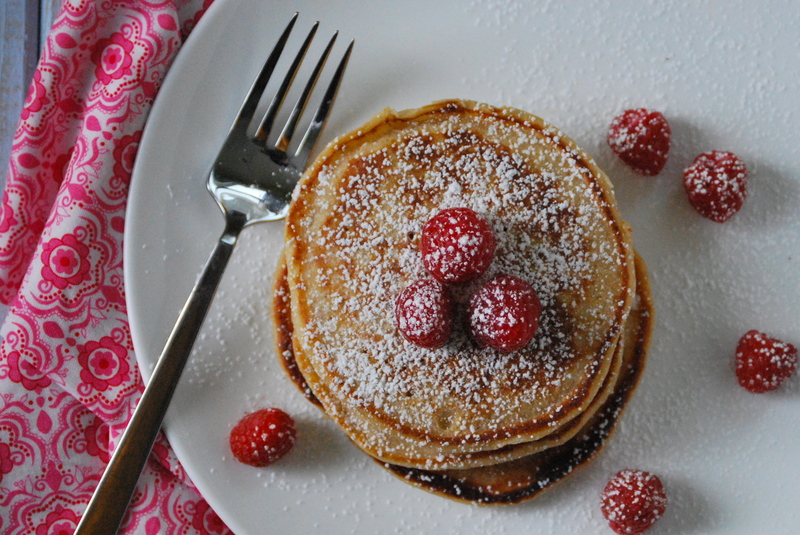 I’ve also used coconut oil throughout the recipe– both in the pancakes, as well as for the frying oil. The coconut flavor pairs beautifully with the lemon here. Just a quick side note, I love coconut oil. Absolutely love it. I try to use it as a substitute whenever the dish allows. I used just a touch of honey as the sweetener in these pancakes, since I don’t like them overly sweet. Add a bit more, if you like. Or top them with a lovely fruit purée. 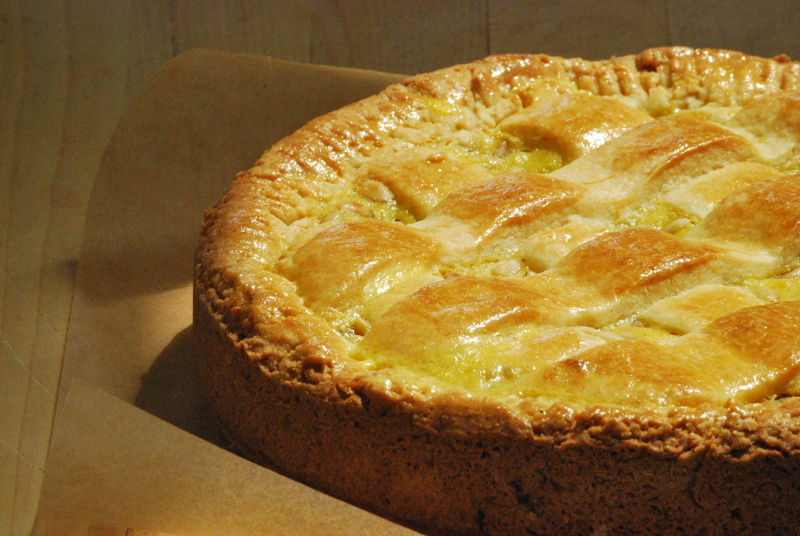 The ricotta gives them a wonderful, creamy texture, and the lemon– well it’s simply fabulous. I’m lucky enough to have two beautiful women in my life that I get to honor on Mother’s Day– my Mom and my Mother-in-Law. Both are strong, compassionate, women who have helped guide and nurture me and my family. They’re incredible grandmothers to my children, and that means the world to me. (I love you both!) I’ll be traveling to North Dakota later this week with my kiddos to celebrate with my Mom– so I’ll be back here at Relishing It next week. I hope all of you Moms have a great, sun-filled day surrounded by your loved ones! In a large bowl, whisk together the flour, baking powder, and salt. In another bowl, combine the coconut oil, lemon juice/zest, ricotta cheese, honey, eggs, vanilla, and 1 1/4 cup milk. 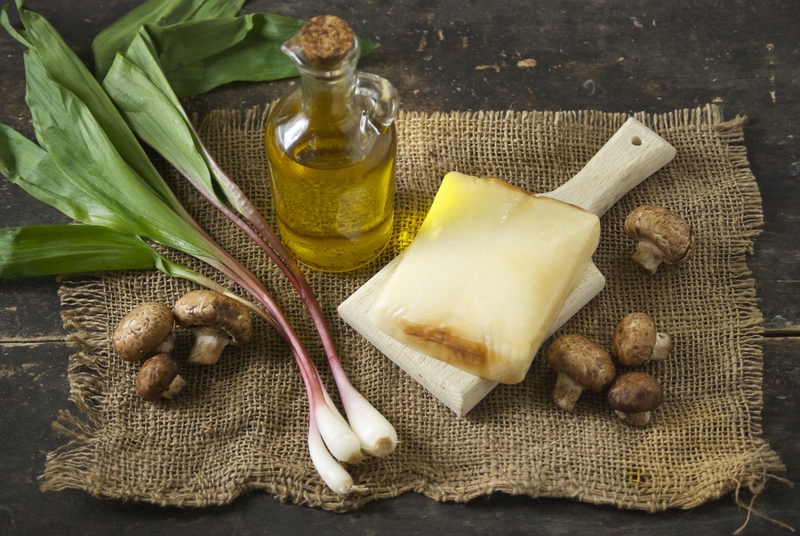 Pour the liquid ingredients into the dry ingredient and combine them using a wooden spoon. Add a bit more milk, if necessary. Be careful not to over mix. Let the batter rest for a few minutes. Heat some coconut oil in a large skillet. 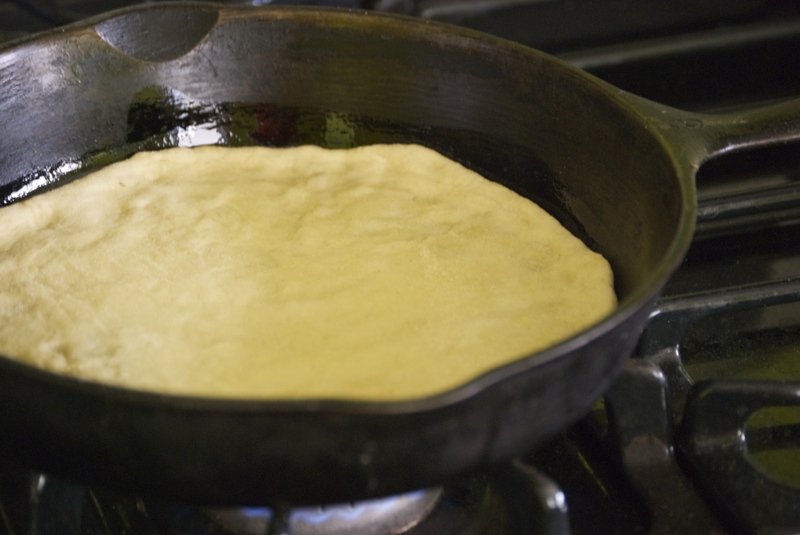 When it is hot enough, ladle batter into the pan– make the pancakes as big, or as small as you like. When they begin to get speckled with “holes”, it’s time to flip them over. Repeat the procedure, adding more coconut oil to the pan each time. 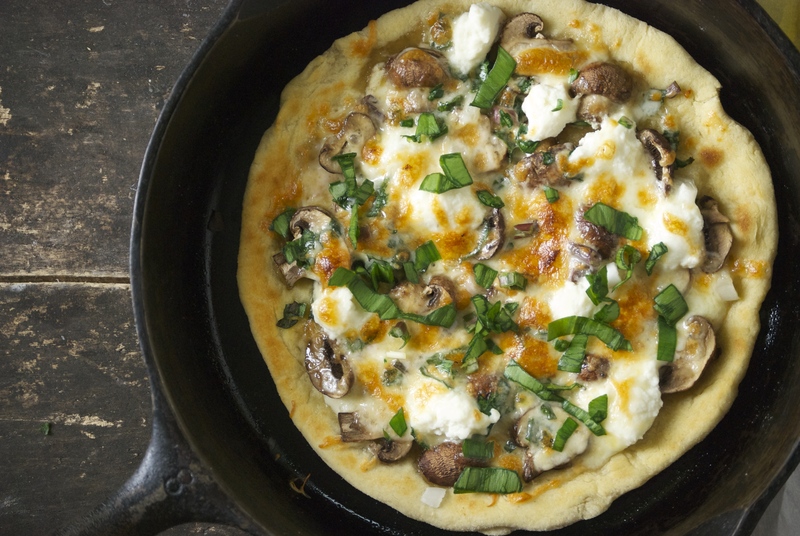 Serve with your favorite pancake toppings. Enjoy! The calendar says that Spring is on the way, though the snowstorm that rolled through the Midwest over the last four days had my family looking for more warming comfort food. 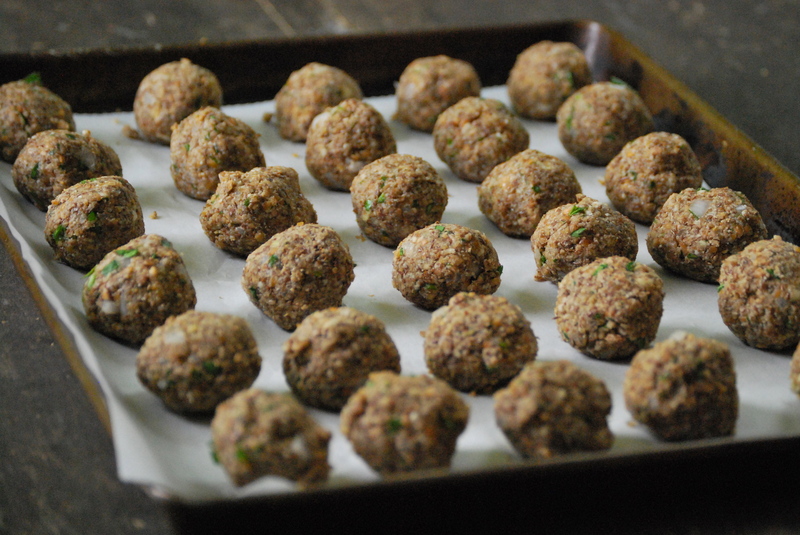 I obliged, by making these meatless “meatballs.” Yes, I realize calling something that has no meat in it a meatball is a bit ridiculous, but it sounds more generally appealling that “lentilballs.” And to be honest, it gives you a better idea of what to expect. 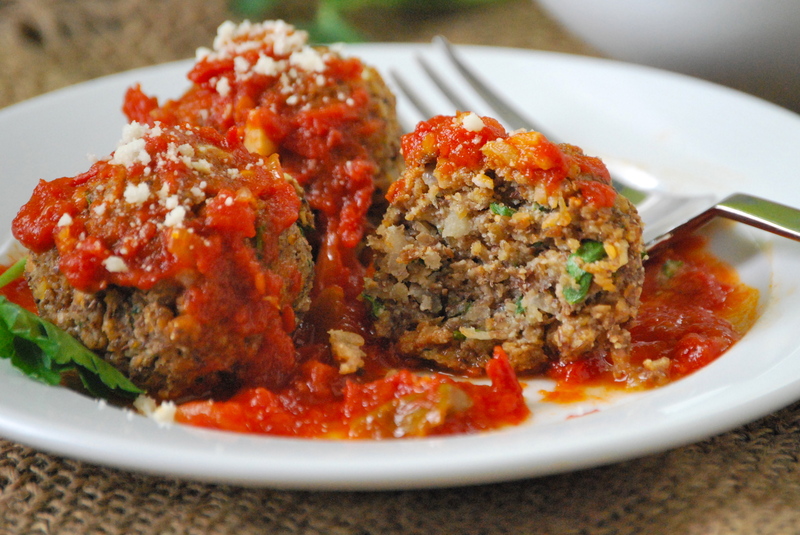 I kid you not, these lentil meatballs have the same taste, texture, and appearance of traditional meatballs. Not to belabor the point of how much this version tastes like a traditional meatball, but my husband– a complete carnivore and self-described ‘bean-hater’– devours them. 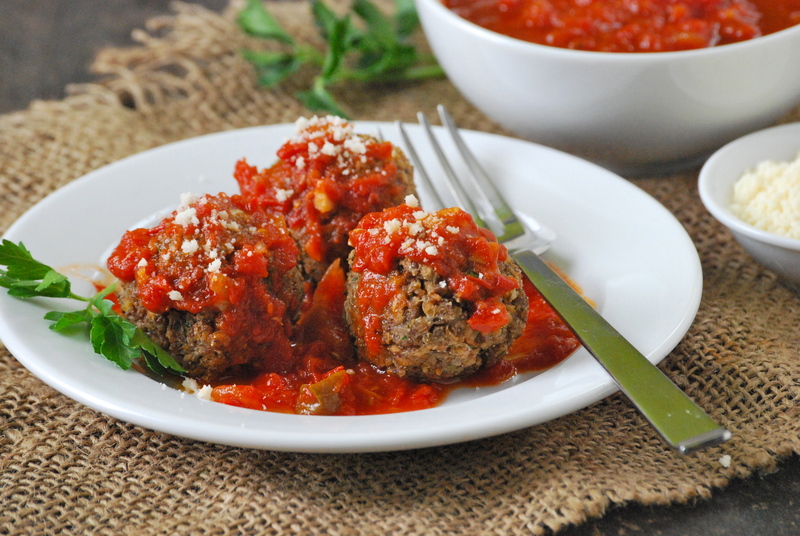 They’re made much like a traditional meatball, except for the addition of ricotta cheese. 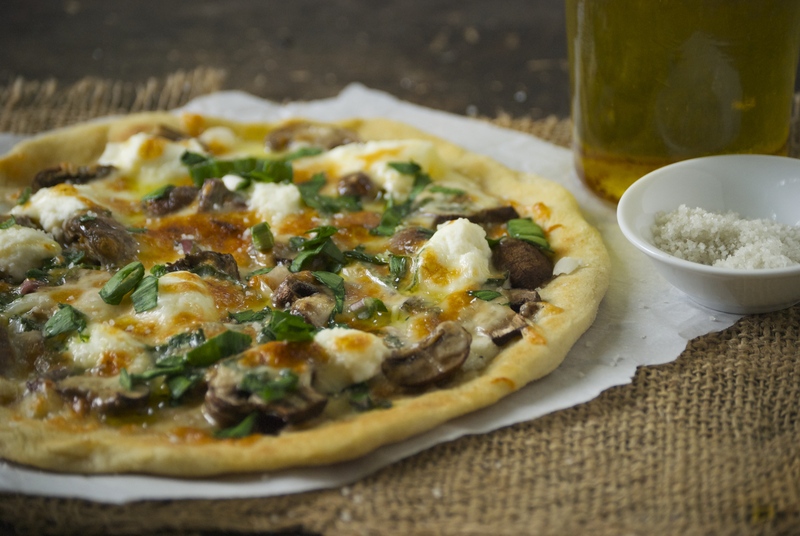 It really helps bind the ingredients together and provides a rich texture. 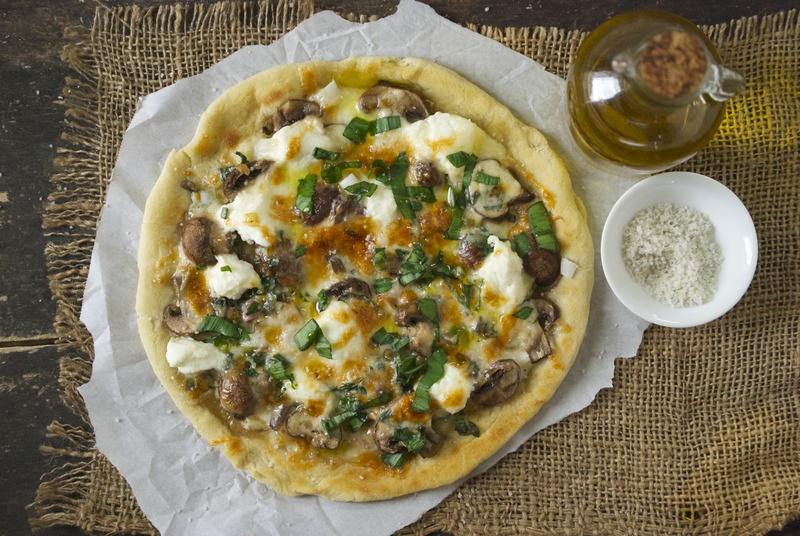 I loaded these ones up with garlic, onion, parmesan, and parsley, but another nice thing about this dish is that it can be easily modified to evoke other ethnic food flavors. Add a little curry powder, cilantro, and ginger; or to make a Greek version, add mint and oregano, and serve it with feta and tzatziki. 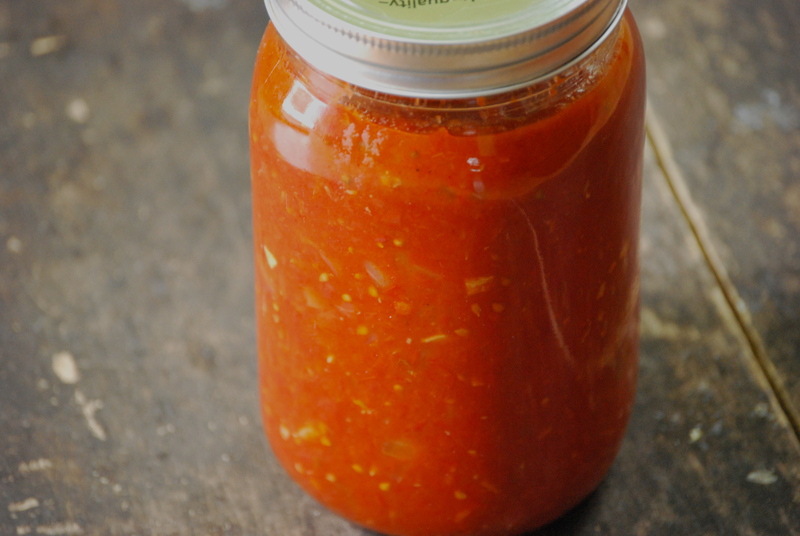 We enjoyed this latest batch with my homemade canned tomato sauce from last summer for an Italian vibe. The point is, these little numbers are versatile enough to allow you to follow your imagination. In our family, we generally live by the “eat meat, though not all the time” mantra. 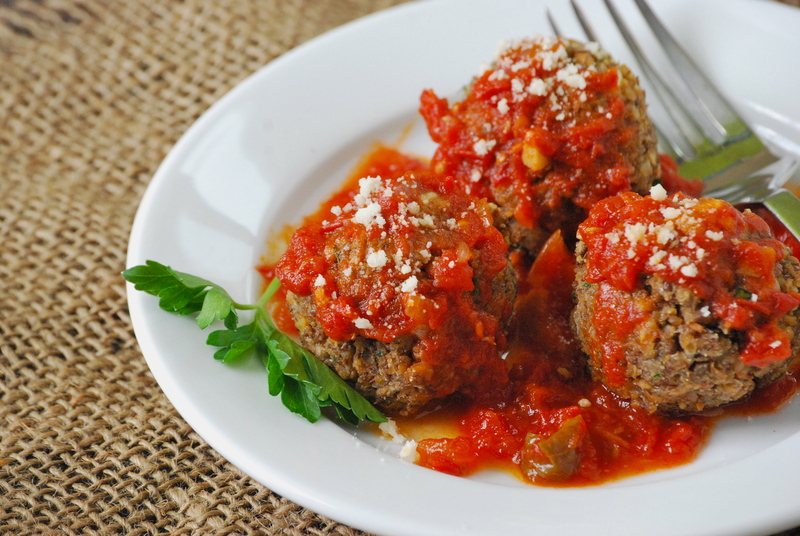 These lentil meatballs are a great alternative, whether you’re like us or eat strictly vegetarian, and you still want that meaty texture and flavor. 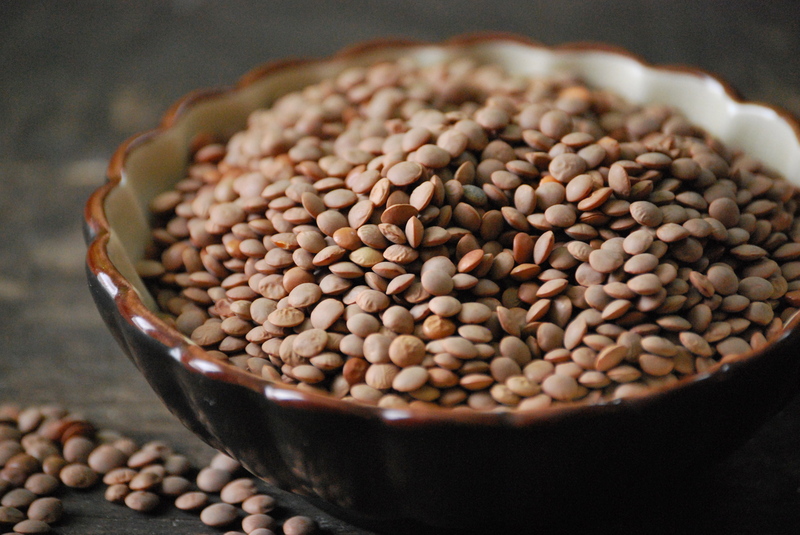 The fact that brown lentils are also budget-friendly is a nice bonus. Now if you’re interested in more traditional meatballs, I’ve got those for you too. 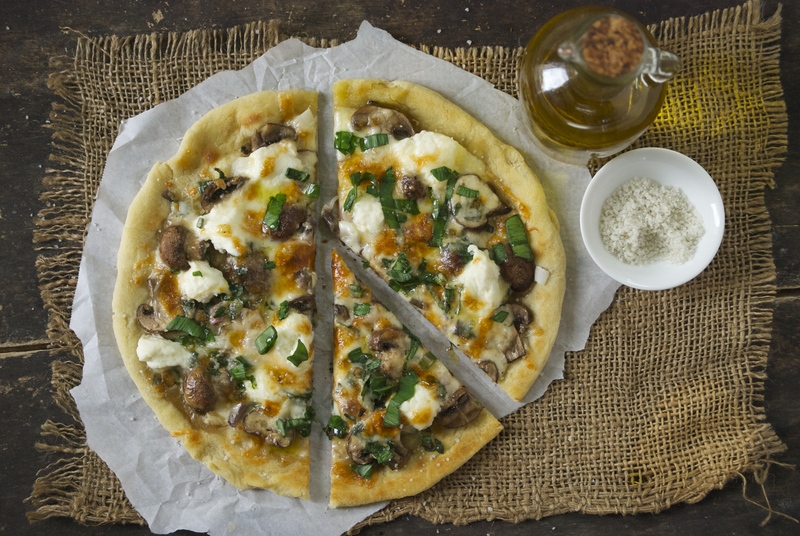 Take a look here and here for a few of my other favorite recipes. And these are an interesting take that makes a nearly-perfect soup. Heck, give them all a try and let me know what you think. Enjoy! To prepare the lentils: Rinse the lentils and put into a large saucepan with 2 cups water, bay leaf, and 1 teaspoon of kosher salt. Bring to a boil, then reduce to a medium-low and simmer covered for about 25 minutes, or until all of the water has been absorbed into the lentils. Turn off the burner and let the lentils sit for about 10-15 more minutes covered. The lentils will be tender when done, but still hold their shape. Remove the bay leaf, and place the lentils in a food processor and process for about 1 minute, or until they are broken up. The appearance will look like that of cooked ground beef. Preheat the oven to 400°F. Line the largest baking sheet you have with parchment paper. Set aside. 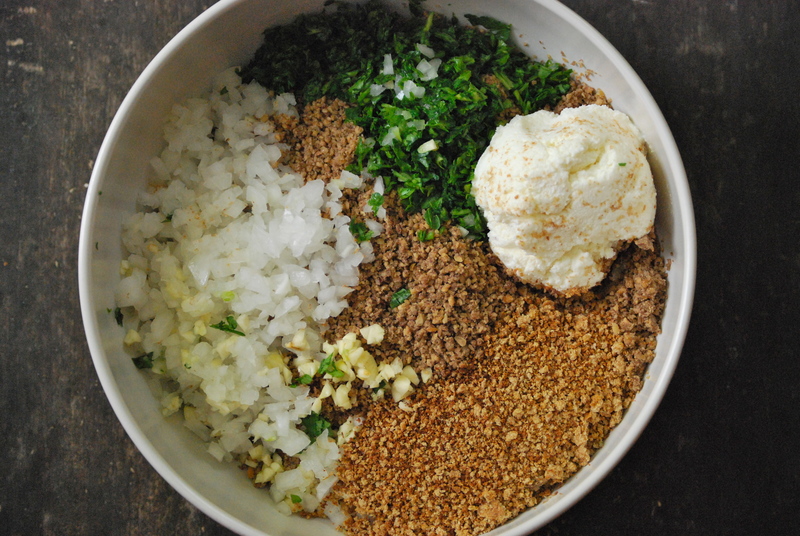 To make the meatballs: In a large bowl, combine the puréed lentils, garlic, breadcrumbs, eggs, onion, parsley, ricotta, parmesan, black pepper and 2 teaspoons of salt by mixing together with your hands. Be careful not to over mix, as with all meatball recipes. Form smallish balls using your hands or a scoop– you should yield about 40. 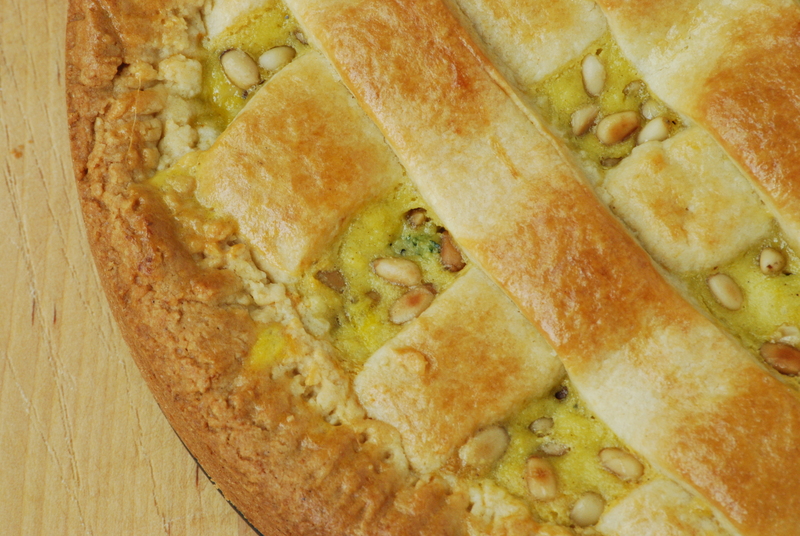 Place on the prepared baking sheet and bake for about 18 minutes. They will be a nice golden brown on the top and bottom when they are finished baking. Serve right away. Enjoy! Thanks so much for stopping by Relishing It today!